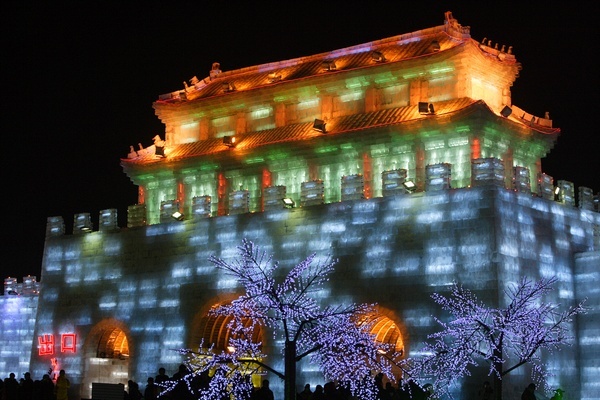 The Harbin Ice Festival has opened in China, and hot damn are we jealous! The 26th festival of it’s kind is expected to bring in 50,000 visitors. Basically, it’s a wintertime Burning Man. Towering Buddhas, pagodas, and fairytale castles were built by world-class ice architects for your viewing pleasure. We’ve been crunching the numbers here in the office all morning, and no matter how you slice it, China is a bit too far of a commute to knock this off of our bucket list this winter. We’ll take some comfort in the fact that temperatures are expected to be in the negatives for the entire duration of the festival.